'Shift' >> To HSR Now! How would it be if your favorite pub was right above the floor where you work? I am sure productivity would go to an All Time High! Shift has actually implemented this concept at HSR with a co-working space on one floor, and the pub on the two floors above it. How cool is that! A group of us headed over to this place post-work on a Wednesday evening, and here's the lowdown. 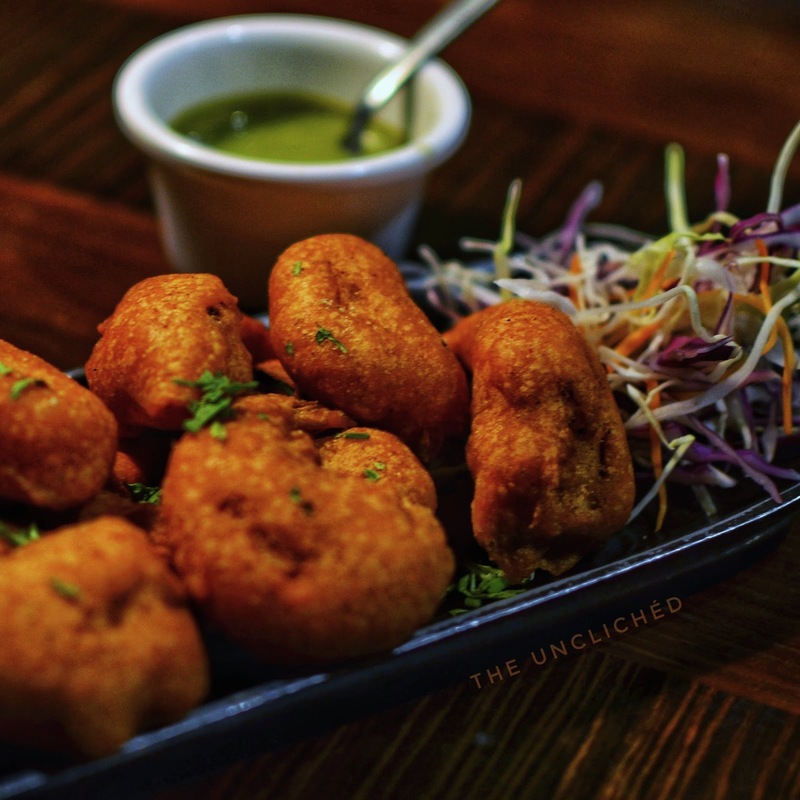 Located right above the House of Commons and beside Punjabi Rasoi in Sector 3, HSR, this place is easy to find. They have an indoor-seating at a lower floor and an open rooftop setting as well. We decided to sit at the rooftop section, since it was a breezy evening. For a weekday, it was surprisingly full. The décor here is chic and with a huge screen put up in one section, this is definitely a great place to catch IPL matches. They have several seating options as well, and we chose the high chairs, since they were at the corner and offered a good view of the screen. The place is airy, spacious and well-laid out, the only concern being the heat during day time. Acharoska: Weird Name, you think? Wait till you taste this one, it will blow your socks off! 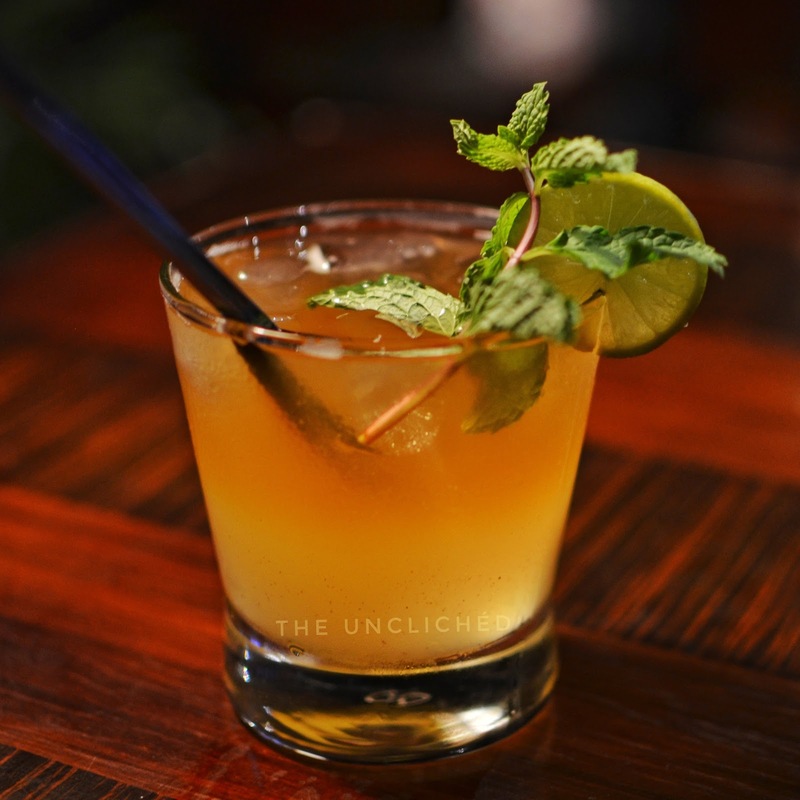 This is a mojito with a twist of home-made lime/mango pickle. The aftertaste of pickle in this drink is brilliant, and those looking for an offbeat option will be pleasantly surprised by this one. Jack Thomas: Here is one for the whisky overs. Whisky, black tea, rum and a wonderful mixture of fragrant spices make this a lovely cocktail to have! 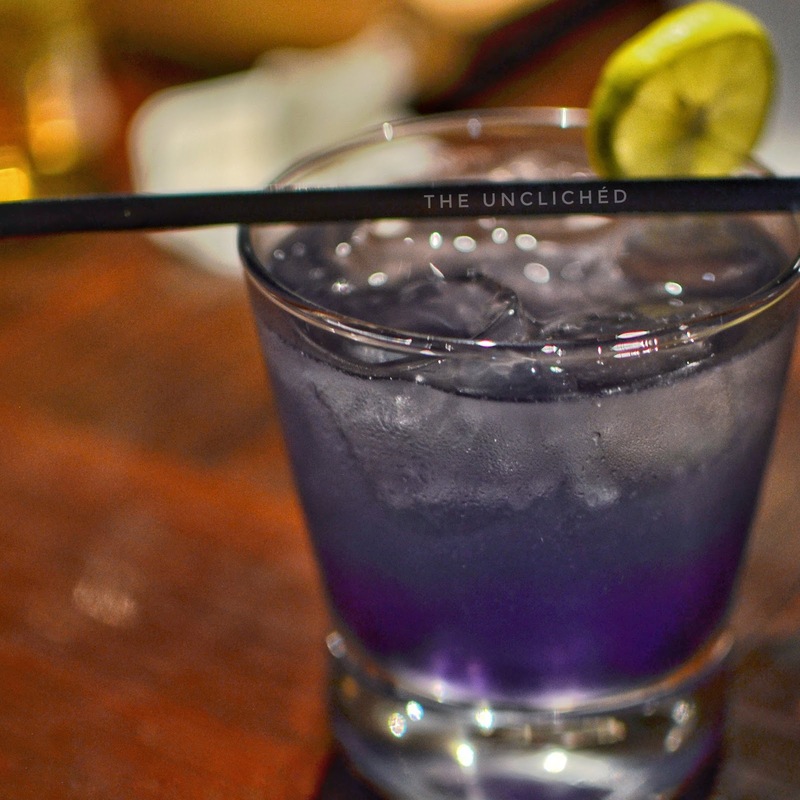 Purple Haze: This stunner of a drink is a concoction of black currant syrup and vodka. Not my favorite drink, but several others in our group liked it, so choose carefully! 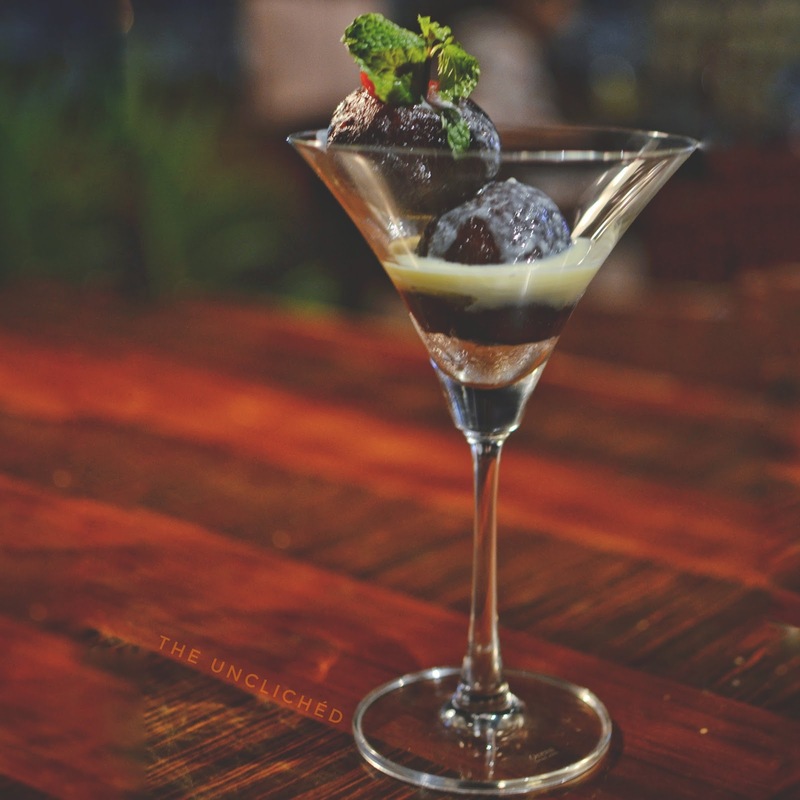 While most pubs have limited options when it comes to food, Shift has an extensive menu, and super-quirky names to keep you on your toes. Also, the vegetarian food menu here is extensive departs from the usual fare of paneer/baby corn/mushroom! Dipspacito: This was the standout dish for our entire meal here, and even though it was a simple recipe, it was superbly put together. 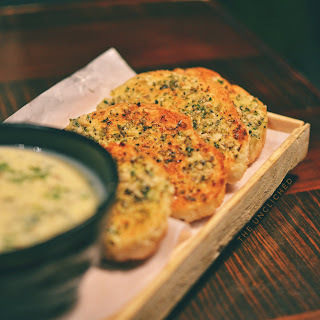 Slightly toasted fresh herbed garlic bread served with the most delicious dip ever. The dip was a cheesy delight with peppers, spinach mushrooms in a super-creamy base. Cigaro: Another brilliant dish, these were crispy cigar shaped (spring) rolls filled with a delicious cheesy stuffing, which they call a ‘pizza stuffing’. 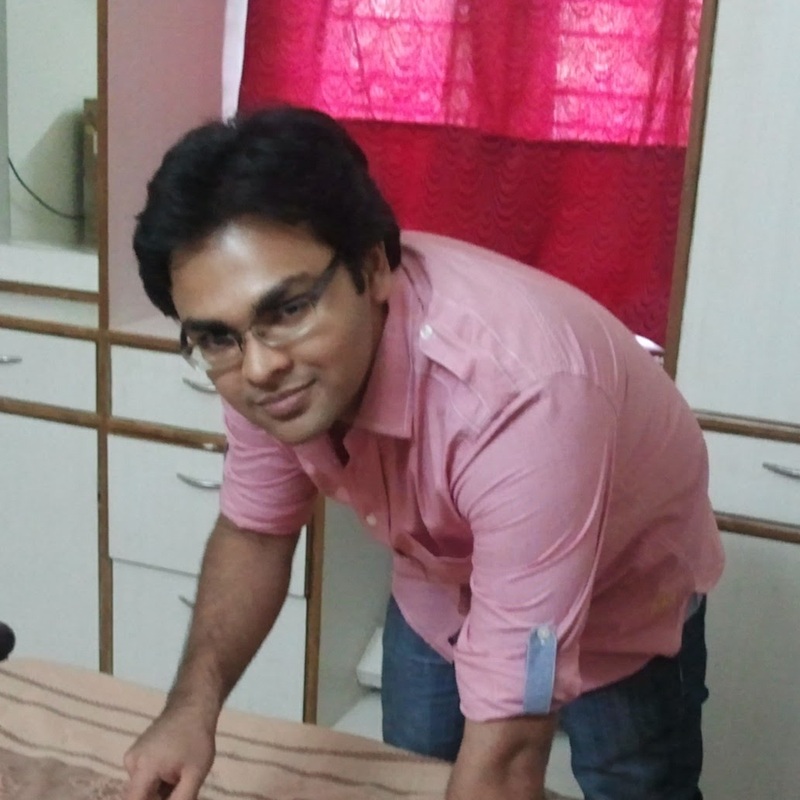 I relished this one too! I Malai to You: Their version of the malai chicken tikka, this dish was good too, and the succulent creamy chicken pieces went really well with our chilled Coronas. Mutton Pepper Fry: A staple dish for mutton lovers, the mutton pepper fry here was’t as spicy as I would like it. It was slightly sour and slightly spicy. The mutton was well-cooked and the quantity was decent, but a bit more sharpness from the peppers was expected! For a place serving good food, dessert was the only course that disappointed me here. Some of the dishes need tweaking. 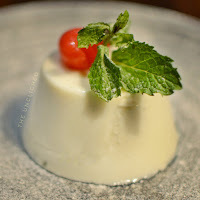 Coconut Malibu Panna-Cotta: This dish looked really pretty, but the consistency was way off in this one, and it sat there like a blob. Taste-wise not bad, but the texture was ruined, probably due to the use of too much of gelatin. Nutella Pancake with Maple Syrup: This simple dish was the best dessert of the three that we tried,light and airy pancakes with a lovely Nutella spread and dollops of Maple Syrup tasted great! Jok-e-Shai(Zauq-e-shahi): A pair of gulab jamuns with a layer of rabri separating the two. This was decent, but the jamuns were a tad bit over-fried. 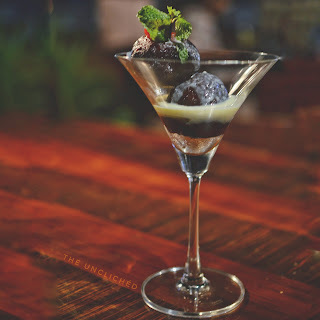 Verdict: A wonderful addition to the pubbing scene in HSR, this place is here to stay, and with competitive prices, good food options and offers on drinks, this place is worth a visit.